A smooth, well-lined road is a safer road—and since 1984, PermaStripe has specialized in expert asphalt paving, asphalt seal coating and advanced thermoplastic striping. PermaStripe can also provide you with road/parking lot-related services including asphalt maintenance and parking lot repair, patching, paint striping, and traffic signs. As one of the leading paving contractors in Orlando and Central Florida, PermaStripe has built an outstanding reputation for reliability. PermaStripe professionals adhere to the very highest standards and our attention to detail and commitment to client satisfaction are second to none. Enjoy free inspections and estimates—and very competitive rates. 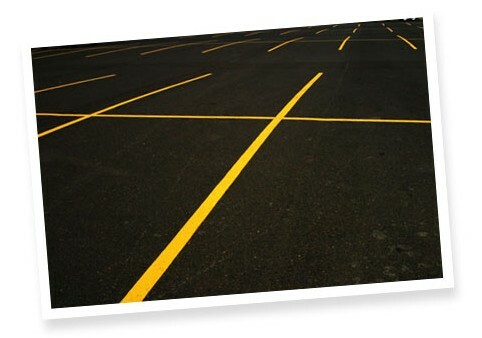 PermaStripe is the proven experts at Orlando asphalt paving, Orlando sealcoating and Orlando parking lot repairs. Please call PermaStripe at 407.814.7400 for a FREE Inspection & Estimate. Stop. Yield. Even Deer X-ing. Whatever your parking lot signage needs are, PermaStripe Professionals will deliver and install, per your specifications, stock or custom made signs in Orlando and throughout Central Florida. Using state-of-the-art equipment and old-fashioned know-how, we provide signs that will stand up for years to sunlight and weather. And you can rest assured that our signs meet all federal and state regulations. Properly applied pavement striping is the most durable and cost effective traffic control measure available. PermaStripe provides top quality Thermoplastic Pavement Marking or Paint Striping to help create a problem-free parking lots and roads.